In February, Harper met with Obama in Washington to announce the beginning of talks toward a Canada-U.S. agreement on border security. An agreement is meant to help the countries integrate their cross-border law enforcement and work together on cyber security, address security threats early and ease trade across the border. Canadian officials have long been concerned that enhanced security after the Sept. 11, 2001, attacks on the United States would hinder the flow of daily trade between the two countries along the border. The issue has also raised concerns over sovereignty, privacy, and how much information Canada is willing to share with the U.S.
Also in France, Harper met with his Japanese counterpart, Prime Minister Naoto Kan, before the official summit began, to reiterate Canada's commitment to helping Japan rebuild. Canadian officials are helping the Japanese monitor the fallout from the quake-ravaged nuclear power plant. In keeping with the nuclear theme, Harper pledged more money to help complete safety and stabilization work at the Chornobyl nuclear power plant in Ukraine. At the 2011 Kyiv summit, G8 leaders pledged $775 million in additional funding to support the work to permanently contain the damaged plant, which is expected to be completed by 2015. "Our government remains committed to helping the people of Ukraine deal with the aftermath of the Chornobyl nuclear accident," Harper said. Canada’s newest commitment of $30 million over up to four years brings its total contribution to the work at Chornobyl to about $105 million. French President Nicolas Sarkozy welcomed leaders of the G8 countries to the resort town of Deauville on Thursday, hoping to find consensus on a number of pressing global issues. Police halted the first of several expected protests while the French leader greeted his counterparts as they arrived in the Normandy town for a working lunch, the first leg of what's shaping up to be a very packed agenda. In addition to the group discussions, a slew of bilateral talks between two nations are planned. On the sidelines of the summit, Obama will also hold one-on-one meetings with Kan, Sarkozy and Russian President Dmitry Medvedev. Nuclear issues are top of mind at the summit, given the devastating earthquake and tsunami that knocked the Fukushima Daiichi power plant in Japan offline, spilling dangerous radiation into the environment. Uprisings in the Middle East and North Africa are sure to feature prominently for the group discussions as a whole. Interim prime ministers from Tunisia and Egypt, where longtime leaders were pushed out of power earlier this year, will join the summit Friday for a special session aimed at identifying their nations' most critical needs as they move toward elections. What global issue is most important to Canada? "We've seen a historic transformation underway in some parts of the region and obviously we want to explore ways to support democratic reform and modernization," Canadian Foreign Affairs Minister John Baird told CBC News from France. The deteriorating security situation in Syria and the NATO-led military mission in Libya will also spark discussion. Obama said Wednesday that the operation has no clear end date, though he contended it ultimately would be successful in stopping Moammar Gadhafi's attacks on civilians. Critics of the mission say it's already overstepped its mandate to merely protect civilians, and they've pushed for a clearer definition of the ultimate goal. 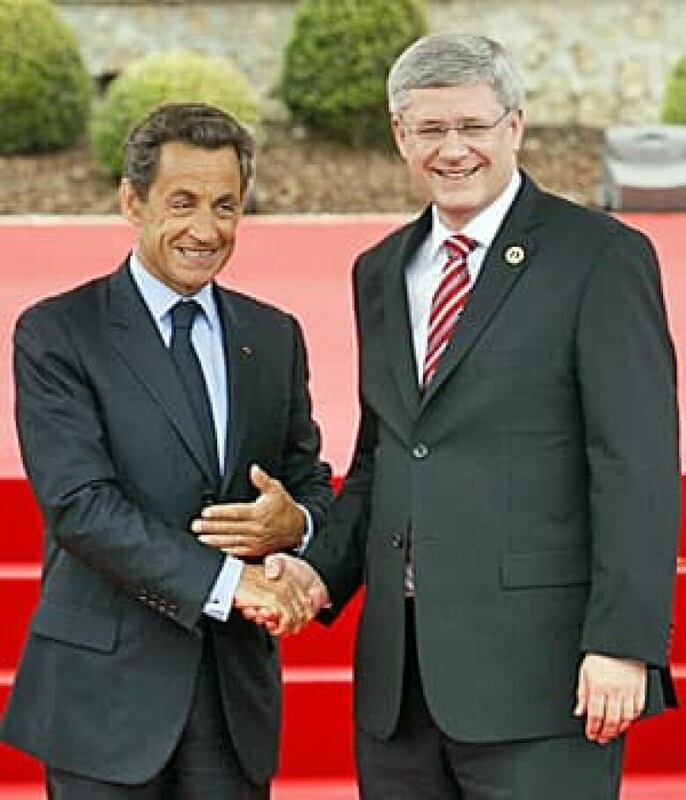 "There is a continuing disagreement about what, if anything … the G8 can do to stem the bloodshed in Libya and Syria," Terry Milewski of CBC News reported from France. "There is no consensus on where to go from here. Lots of action, but what comes of it is very uncertain." P.O.V. : Which issues discussed at the G8 are most important to Canada?